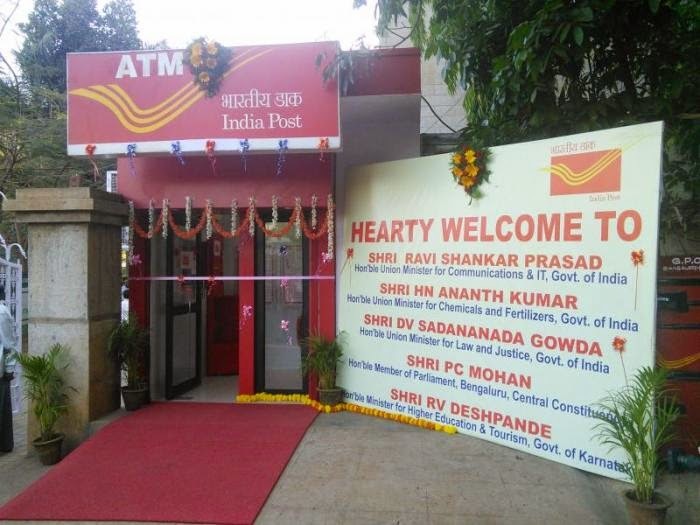 Union Minister for Communications and IT Shri Ravi Shankar Prasad on April 2, inaugurated the first ATM at Department of Posts, in General Post Office premises, Bangalore. It is the first an ATM will go live in Karnataka Postal Circle. Speaking on the occasion, Minister Ravi Shankar Prasad said the need of the hour was for the Department of Posts to think a little out of box. “The Department of Posts should be ready to meet the three benchmarks – ensuring delivery of letters (post), money orders and parcels on time. It has to utilise its wide network for better performance and revenue,’’ Prasad said. Praising MS Ramanujam, chief post master general, for taking measures to provide an ATM and other services in Karnataka Postal Circle, the minister said that the Department of Posts should make an attempt to increase revenue. “You have done a good job of associating with Department of Tourism which has agreed to find a sponsor for maintaining the heritage building of Postal Department on Museum Road,’’ he said.